By day, Glasgow is hands down the best shopping destination in the UK outside of London. A cultural powerhouse, you’ll be spoilt for choice when it comes to its beautiful museums and galleries, not to mention the breathtaking Victorian and Rennie Mackintosh architecture. By night? Well you’ll be glad to know that not many places can rival Scotland’s biggest city when it comes to live music, stylish restaurants, and most importantly, vibrant bars. Here at My Cocktail Masterclass, we like to think we know a thing or two about great cocktails, and when it comes to cocktails in Glasgow, we’re swelling with pride to be able to recommend so many great cocktail bars in our hometown! Situated in the stylish Merchant City, this beautiful bar is the ideal destination after a day of window shopping around the Italian District. The Corinthian is an awe-inspiring venue with a history dating back to the mid-18th Century, and with an extensive cocktail list you’ll have plenty of excuses to relax and appreciate this beautifully refurbished building. With its friendly staff and relaxed vibe, Booly Mardy’s is a must visit after a morning of wandering in Glasgow’s West End. Ideally placed to catch some rays on a rare sunny day, this award winning bar also boasts a warm and welcoming interior for when the clouds descend. Love jazz? Then look no further. The Blue Dog is a New York style piano bar brimming with confidence. Renowned for its cocktail menu and highly skilled bartenders, it’s the ideal late night haunt in the heart of the city. With a history spanning over 75 years, this Art Deco establishment is first and foremost the place to go in Glasgow for oysters. Once you’ve sampled a half dozen or so, it’s time to thumb through a cocktail menu of the highest standard. This Glasgow institution is not to be missed. A contemporary cocktail bar if ever there was one, Metropolitan is another cocktail bar jewel in the Merchant City crown. Swing by on a Friday or Saturday night and take up residence in the piano bar, sampling some of the finest modern concoctions the city has to offer. It’s easy to see why this stunning 5 star hotel plays host to some of the biggest stars in the world when they visit Glasgow. Beautifully restored and sitting opposite a gorgeous green space in the heart of the city, the Blythswood’s Salon Lounge & Bar is the perfect place to spend a relaxed afternoon enjoying a cocktail menu ingrained in modern bar culture. Fancy making your visit to Glasgow even more memorable? 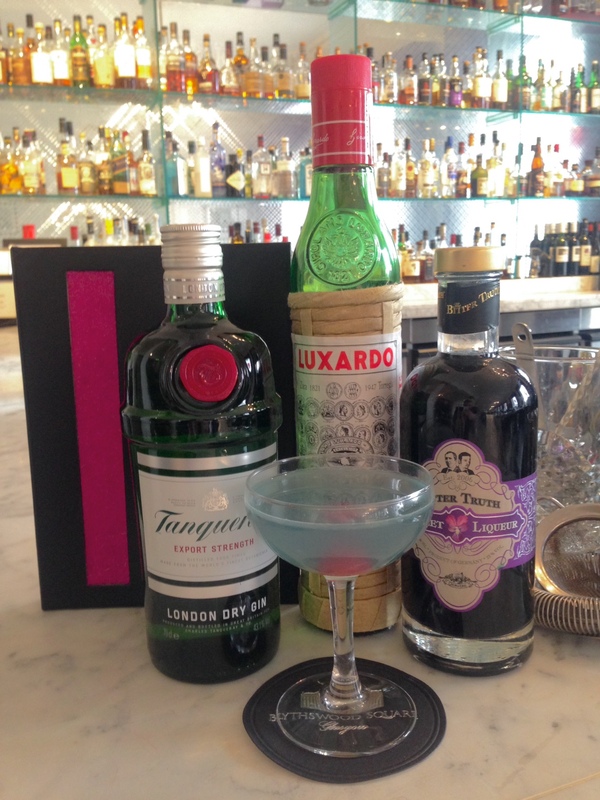 Arrange a cocktail making class for you and your friends, from only £25 per person!